Life is busy and complex, and we all need to find ways to slow down and look after ourselves in the process. 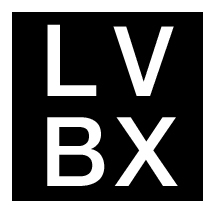 Here’s a few tips on stress management from the LVBX staffers. I try to eat well and sleep well. I do something engaging with my body like go for a walk in nature, dance around the house, or do Continuum. And, I talk with a good friend (or two) who can talk me down from most ledges. And most importantly: Healthy food. Food is medicine. My moto: Healthy body, healthy mind. My go-to stress management strategy involves exercise, meditation, and creative expression. I meditate throughout the day, even if I only have 5 or 10 minutes at a time. Then, I always end my day with a gratitude meditation just before falling asleep. At the end of a long work day, I need to move my body. A long walk or trip to the gym helps me decompress and switch out of work mode. I also incorporate painting, writing, or something creative into my weekly schedule. I find nothing grounds me like standing with a paintbrush in front of a big canvas. Meditation and long walks with my headphones and Abraham Hicks YouTube on auto-play. This may seem more stressful than the stress, but I find cleaning my house to be the quickest way to reduce stress. The source of my stress comes up when life feels out of control leaving me feeling powerless. When I can take control of my home environment, it gives me a sense of power again. And it’s usually favored by my wife too, so it’s a win-win! As someone who has a hard time simply relaxing, often times I get stressed out and don’t do anything about it. When I’m being smart about it though, there are a few ways to make myself feel better. Go to the movies: I sit in a dark theater, shut off my brain and enjoy popcorn, Milk Duds, and a large Coke. Get a 90 minute massage, mani/pedi or (ideally) a combination! Go for a nature walk alone with no headphones or distractions, except for an occasional bunny or lizard crossing my path. Sit by a lake or the ocean and write. Putting pen to paper helps me cope with just about anything. Hit the gym; lifting heavy weights in a slow and controlled manner to connect to my breathing and body, or getting in a heavy and sweaty cardio session. Taking a dose of CBD oil, lighting candles, and resetting and realigning with a healing selenite wand. Sleeping with selenite on my nightstand. Lighting palo santo wood to cleanse and renew a space (or yourself). Full body oil massage and/or reflexology. Making a superfood smoothie, complete with CBD oil and Moon Juice Moon Dust. Ashwagandha – this superfood helps tremendously with keeping your hormones in balance and stress levels down. Add to smoothies, raw healthy treats, even coffee. Practicing mindfulness. Feeling and connecting to my body through the movement of dance, yoga, or exercise. Focused breathing. Being aware of my feminine. Practicing empowering language. Accepting “no” as a suitable response when necessary to my own wellbeing. Letting go through playfulness and laughter.